If you are injured in an accident here in southern California, you will probably want to know if you’re entitled to compensation for your personal injury or injuries. 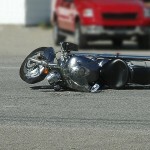 Can you pursue a personal injury lawsuit along with or instead of filing an insurance claim? 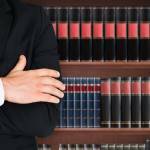 How can a product liability lawyer help with a lawsuit? What follows is what you will need to know if you are injured in California because another person was careless or negligent. Personal injury lawsuits are civil lawsuits that are filed by injury victims to recover compensation for their medical expenses, lost wages, and related losses. A personal injury lawsuit can only prevail against the party or parties actually responsible for injuring you. If you injured yourself, even if you are catastrophically injured or permanently disabled, you don’t have a case. CAN YOU SUE FOR NEGLIGENCE ALONE? Negligence alone is not sufficient grounds for a personal injury lawsuit. There must be an actual personal injury or injuries. For example: The supermarket may be negligent if juice is spilled and no one cleans it up, but if you slip, fall, get up, and walk away uninjured, you have no grounds for a lawsuit. And if a negligent driver crashes into your vehicle, but you’re not injured or traumatized, you’ll be able to file a property damage claim, but again, you’ll have no grounds for a personal injury lawsuit. Along with negligence and injury, there must be quantifiable damages. If you file a personal injury lawsuit, your lawyer will help you determine the exact monetary amount that your lawsuit should seek. If you’ve been injured in an accident, and even if you’ve been injured severely, it does not necessarily mean that you have grounds for a lawsuit or even for an insurance claim. UNDER WHAT CONDITIONS CAN YOU FILE A PERSONAL INJURY LAWSUIT? 1. 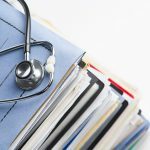 Did you sustain an actual personal injury – not merely property damage? 2. Was someone else’s negligence responsible for the accident that injured you? 3. Are your damages quantifiable? Can you put a dollar figure on your losses? 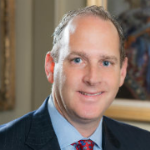 If “yes” is the answer to these questions, you should speak at once regarding your legal rights and options with an experienced Pasadena personal injury attorney. HOW ARE MOST PERSONAL INJURY CASES RESOLVED? Although traffic accidents are perhaps the most common type of accidents that generate personal injury lawsuits, whenever someone is accidentally injured by another person’s negligence, the victim is entitled to compensation and has the right to take legal action. A variety of factors may affect the way a personal injury lawsuit plays out. About ninety percent of the personal injury lawsuits that are filed never make it to trial. Most personal cases are settled by the attorney or attorneys for both sides hammering out an agreement outside of the courtroom before a trial can commence. DID YOU SUSTAIN AN ACTUAL PERSONAL INJURY? “Personal” injuries are any injuries to the mind or to the body. Mental and psychological injuries may be somewhat more difficult to prove, but the law treats mental and psychological injuries just like physical injuries. If you break a leg or sustain a concussion in a serious traffic accident with a negligent driver, for example, that is a personal injury. But if insomnia, anxiety, or depression plague you after a serious traffic accident, that is also considered a personal injury under California law. WAS SOMEONE ELSE’S NEGLIGENCE RESPONSIBLE? To file a personal injury lawsuit – or an injury claim with an insurance company – the personal injury or injuries must be caused by another party’s negligence. When a person, persons, a company, or a government agency acts negligently and is responsible for injuring someone, that party may be found liable and ordered to pay damages if the case not settled and goes to trial. Under California law, negligence is a failure to act with the same degree of care that the average “reasonable” individual would use in comparable circumstances. WHAT MUST YOU PROVE IN ORDER FOR YOUR LAWSUIT TO SUCCEED? 1. The defendant (that is, the allegedly negligent party) had an obligation or duty to the plaintiff under the circumstances. 2. The defendant breached that duty with negligent action or inaction. 3. That negligent action or inaction was a direct and legal reason for the plaintiff’s personal injury or injuries. 4. The costs of the plaintiff’s personal injury or injuries can be quantified monetarily, and the plaintiff should be compensated for that amount. DO YOU HAVE QUANTIFIABLE DAMAGES? “Damages” is the legal phrase describing the settlement or verdict amount that plaintiffs receive as compensation. Medical bills and lost wages already have a dollar figure attached, but you’ll need an accident attorney’s help to place a reasonable dollar figure on your “noneconomic” damages. Before you take any action – or even file an insurance claim – if you’ve been injured by negligence in southern California, speak first with a personal injury attorney. Every case is different. You’ll need specific and personalized guidance and advice. 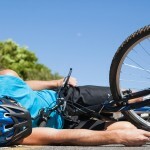 IS A PERSONAL INJURY LAWSUIT ALWAYS THE BEST MOVE? Keep in mind that a personal injury lawsuit is not always the best remedy for an injury caused by negligence. Some people, frankly, could not pay any damages even if they were found liable for injuring you. In such a case, your attorney may be able to find another source of potential compensation or recommend some other legal option. WHAT WILL IT COST YOU TO SEEK JUSTICE? It won’t cost you anything to learn more about your own case if you’ve been injured by negligence. Most of California’s personal injury lawyers will provide a free consultation and case review to injury victims. If you choose to take legal action, you’ll pay no attorney fees until your accident attorney obtains a settlement or verdict on your behalf. The victims of negligence have the right to take legal action. They have the right to an attorney’s help. And they have the right to compensation. If you’ve been injured by another person’s negligence in southern California, exercise your rights. Your future could depend on it.